Please visit the Publication of Orders page for all relevant Public Inquiry documentation. Essex County Council has worked with Highways England to investigate options to improve access to Harlow’s road network to help facilitate growth and create better connectivity for residents, businesses and visitors. A strategic options appraisal study concluded that a new junction on the M11, known as Junction 7A, was the best solution. The scheme begins by widening Gilden Way from the London Road roundabout to Marsh Lane to create a three-lane road. This would provide an additional lane for traffic approaching Harlow. The widening will be accommodated within the existing highway boundaries or on land that will be transferred to the highway authority’s ownership. From near the junction with Marsh Lane, a new road to the east will be built to link the improved Gilden Way to the M11 via a new roundabout called The Campions roundabout. A section of the old Sheering Road as it passes The Campions will become access-only for residents, while access to Mayfield Farm will also be improved. From the new The Campions roundabout, the link will continue towards the new motorway roundabout junction on the western side of the M11. This is one of two new roundabouts that will be built on either side of the M11 and connected by a new bridge over the motorway. There will be slip roads on and off the M11 for both northbound and southbound traffic. Traffic travelling from the new M11 junction towards Harlow will use the new roundabouts, on either side of the M11, and travel along a new wide two-lane link road to The Campions roundabout. The material that we produced for the public consultation on these proposals contains detailed information on the scheme and how it will achieve its objectives. That information can be found in the ‘Useful documents and links’ section at the bottom of this page. Advanced drainage, clearance and utility works are currently ongoing along Gilden Way to help facilitate the main works. The scheme is being constructed under a design and build contract. In February 2019 we issued the tender for the contract. We expect to make an announcement on the successful contractor in late 2019 / early 2020. From May-July 2016, we carried out an extensive public consultation on the proposals for the M11 Junction 7A and the widening of Gilden Way. As part of the consultation, we ensured the proposals were well publicised, including holding public information events and displaying information at Harlow Council Civic Centre during the consultation period. We received 149 responses, including one petition with 155 signatures. You can download our Consultation document using the link below, along with other information about the scheme. We are grateful to everyone who took the time to consider our proposals and provide their feedback. We read and analysed each response to gain a thorough understanding of the issues, suggestions and any concerns that they contained. 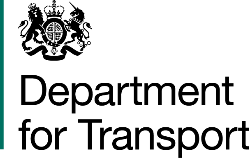 This information was passed onto the relevant technical leads working on the proposals, and was used to help inform future decisions on the scheme. At the end of this process, a Preferred Route was approved by the ECC Cabinet and announced on 13 December 2016. During the 2016 public consultation, we committed to putting in place measures to reduce the impact of traffic noise on residents once the M11 Junction 7A scheme is in place. This is why we are proposing the installation of noise barriers along parts of Gilden Way and Sheering Road. Find out more about our proposed noise barriers. In addition to installing the noise barriers, we were proposing the removal of the underpass under Gilden Way between The Oxleys and Gilden Close. Having considered feedback from residents, this underpass removal proposal is under review. On 11th and 12th May 2018 two public events, the Orders Exhibitions, took place in Old Harlow. These events provided people with an opportunity to discuss the noise barrier and underpass removal proposals with project staff. Please contact us via m11j7a@essex.gov.uk if you have any questions about the scheme. We aim to respond to enquiries within 10 working days.